I have a lot of emails in my inbox and I want to let you all know I will respond to them next Monday!! I’m in charge of a fundraiser event Saturday night, involved in an extra curricular teaching activity most of Sunday, and then in charge of food for a dinner event Sunday night. I’m in survival mode for the next 3 days, but I will answer your emails soon! I can give you a quick update about the new puppies! Chantel’s litter is looking fabulous and we have 5 gorgeous Cavachon pups!! I will post photos of them next week. 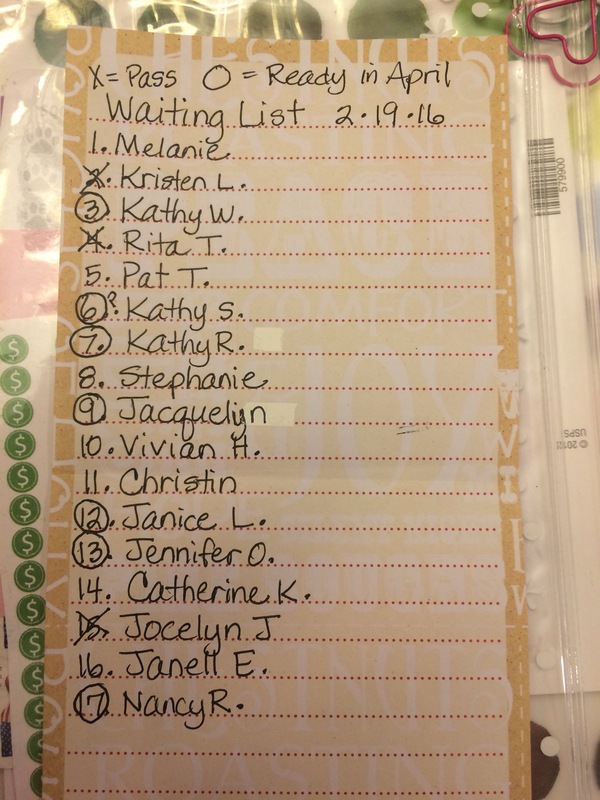 I asked to hear from everyone on the waiting list and this is what I have so far. If the number is not marked in any way, it’s because I haven’t heard from that family yet. I just need to know if you might be ready for a puppy in April, or if you need to wait for a future litter. We have 2 black/white females, 1 gold female, 1 dark solid sable female, and 1 blenheim male. I’ll come up for air again on Monday! Hope everyone has a great weekend! !